** The Internet Price includes the following patient support: telephone and email support with respect to therapy questions and problems, device re-titration and calibration, replacement accessories and supplies available for purchase, after-sales service and support. Respironics' has completely redesigned the entire family of REMstar sleep therapy systemsto give us thenew M Series Sleep System. It features an all-newsmall and sleek design, combined with patient-friendly functions such as lighted touch controls for on/off, ramp and C-Flex, and a covered LCD display and controls for advanced reporting and setup. All of these platform improvements are made even better with the proven patient comfort of C-Flex. The new platform design is convenient for travel with and without the integrated humidifier. The standard travel carry case has been updated with a new sleeker look. Optional travel accessories are also available for packing the device in a suitcase and for use when traveling internationally or when a portable battery or DC adapter is required. 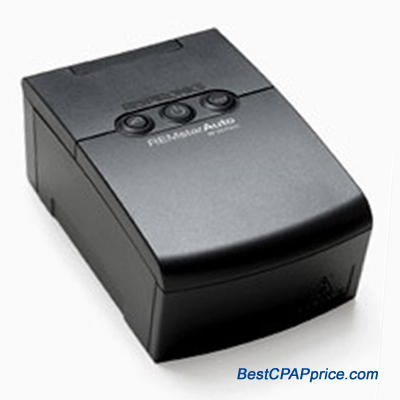 The REMstar Auto M Series with C-Flex is an ideal flow-based Smart CPAP for use in the lab or home. Its Proactive Algorithm looks for and adjusts to the patients need based on optimal and critical pressure levels. When combined with Encore Pro Software, you can track events like snoring, elevated leak levels and apnea/hypopnea. Add that to a host of other great patient features, and its easy to see why REMstar Auto with C-Flex is the smartest Smart CPAP weve ever made. We are only authorized to sell and ship Respironics products to end-users residing inthe United States. Respironics recommends that new patients purchase their devices,masks and initial accessories from a homecare company that can provide an individualizedpatient equipment set-up, clinical and after-sales support, and a program to assist patients withtherapy success.